Voltaire, the clearest of Enlightenment thinkers wrote those words in his 1765 essay, “Questions sur les miracles.” And they resonate as much now, 250 years later, as they did then. It is hard to live in a universe ruled by contingency and accident. It is soothing to speak of fate and destiny. Affective ambivalence, indecision, turmoil, emotional tumult, all take on a more bearable aspect if they are seen as subject to forces external to us, subject to external resolution–inevitably, inescapably. “What will be will be….” So too with misfortune. If an event which we would so much the more have wanted to forgo could just as well not have been, its occurrence, its having-been, cuts into us all the deeper, all the more terribly. So we speak of fate, of destiny. The human impulse to construct narratives is a gift of imagination. But beware the seductive allure of plot and the delusion of comprehension. Five days ago the big question in french politics was the refusal of Iranian president, Hassan Rohani, of a formal dinner with the French president, François Hollande, where wine would be served. Then all hell broke loose in Paris, hundreds dead and seriously injured, leaving the France dumbfounded. Leaving the capital silent and anxious. A few days after the attack on Charlie Hebdo and I recall waking up from the distress hearing an accordion player playing some traditional song on a totally silent subway car. 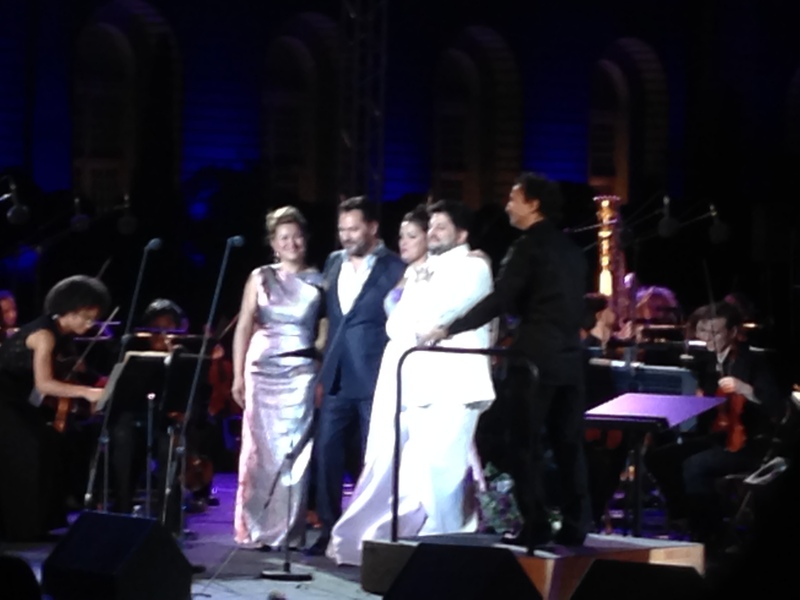 Last saturday I went to The Orangerie gardens at the Palais de Versaiiles to the Anna Netrebko Gala where she sang some opera arias with Ekaterina Gubanova, Ildar Abdrazakov and Yusif Eyvazov under the direction of Marco Armiliato with the Orchestre National d’Île-de-France. Anna Netrebko and Yusif Eyvazov gave the best performances to which the public responded with enthusiasm.